With a few simple cost effective steps, it is becoming easier for the average Business to rank on the front page of Google. Google Local Business is a Sleeping Giant. 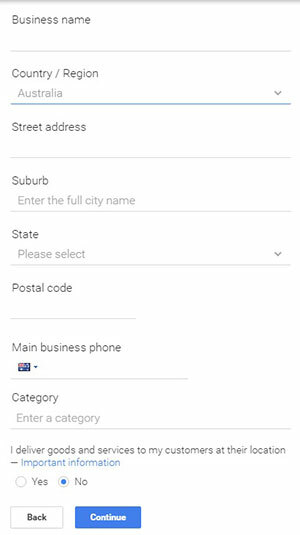 Note: Google will show different results depending on your country so if you aren’t using google.com.au (Australia) you might get different results. 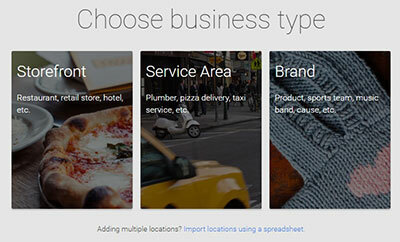 Step 2: Once logged in, click on choose your business type: Storefront, Service Area or Brand. 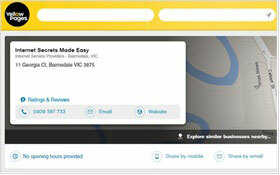 Step3: Search your business by name or address. Step 4: If it already exists, click your business name and click ‘Request ownership’. If it’s not listed yet, click ‘Add your business’. Step 5: Fill out the details about your business, add working hours, photos, video, payment options, industry, a detailed description, contact information, etc. 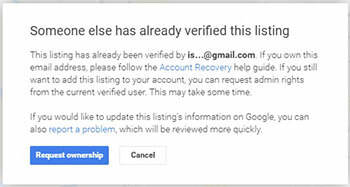 You’ll then receive a verification code to your email but could take a couple of weeks. Once verified, it will take a few days to go public. Pro Tip: If you don’t want to disclose your exact address, you can use a street intersection or a corner. With the rise of smart phones uses in the US, (Unable to get exact figures for Australia), Google Android and iPhone have 500, 000 activations a day in USA. When people use voice search on Android phones, the first results they see are from Google Local Business. AUSTRALIANS Will Follow This Trend! Now the following figures are already outdated but you can see that over half of Australia’s population has now got a smartphone. So it’s a massive growth industry. Almost half of Australia’s adult population now own a smartphone. 4.4 million accessed the internet using a tablet in the six months to May 2012. Mobile internet subscribers increased by 22% to 22.1 million subscribers at June 2012. Twice as likely to access social networking sites. There are more than 20 different fields in your Google Places listing. Most business don’t bother to fill them all in. 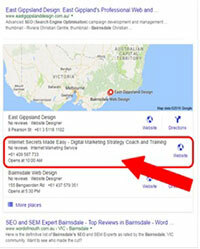 1st place of Google Places could be as simple as leaving a field blank e.g. video. 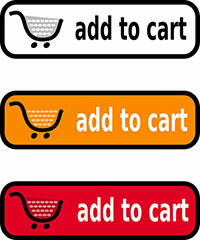 Include production or service keywords in your listing description. List one or two of the cities or suburbs where your target market lives. 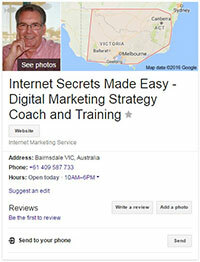 Your description should be written for SEO (Search Engine Optimization). BUT: Don’t over use your keywords. 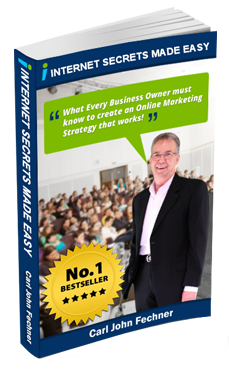 Has always been important for small business online marketing, but now they’re ESSENTIAL. If you follow the advice above, your business listing will have a better chance of getting on the first page of the search results and in most cases will appear above the organic search results.